In the last column of Officer’s Quarters, I provided tips on dealing with someone who implies they know more about how to run your guild than you do. During the resulting discussion, poster Luke Lakatosh asked, “How are you folks recruiting these days?” This is a great question which deserves a column devoted to answering it. Recruiting has never been easy, per se. 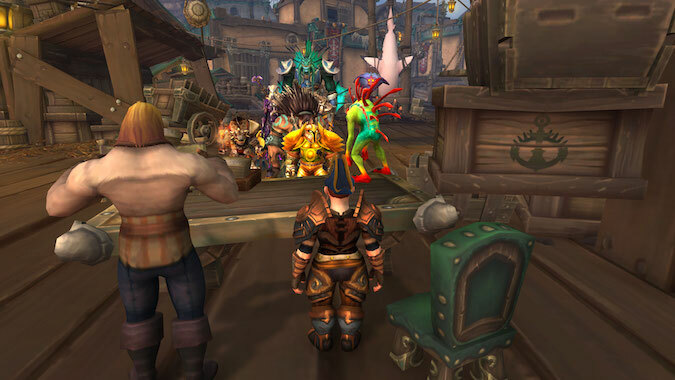 I remember a time back during Wrath of the Lich King when the number-three guild on my server announced they were moving — lock, stock, barrel, Gnomes, DKs, all of them — to a high population server because they couldn’t fill their roster. They were stuck at 25-man Blood Queen Lana’thiel, I believe, and could not find people to fill their raid. For the record, they didn’t have better luck on their new high population server and imploded within 6 months. There are no guarantees such a drastic move is going to give you the results you want. With the Communities feature, it can feel like you’re shouting into the teeth of a hurricane. Why join a guild when the benefits of raiding can be found within whatever community you join? This makes recruitment that much harder. Let’s look at ways to attract players. What do you need for your raid team? This is the first thing you need to address. Are you short on melee or ranged or healers or tanks? If you need ranged, is there a specific class or spec? Consider how specific you actually need to be. Certain specs can be more productive versus certain bosses, but consider recruiting the class and not the spec to start. If you need a healer, recruit a healer and worry less about what kind of healer it is. You need the slot filled. This doesn’t always work with DPS, however. If you need a Warlock, that’s what you recruit — a Fire Mage isn’t going to be the same. Recruit the class and then — once they are in the raid — ask if they can respec if that’s what you need. There are quite a few ways to get your raid needs out into the community. Guild announcement on the Looking for Guild panel. Recruitment forums on WoW-themed websites. Each one has pluses and minuses. 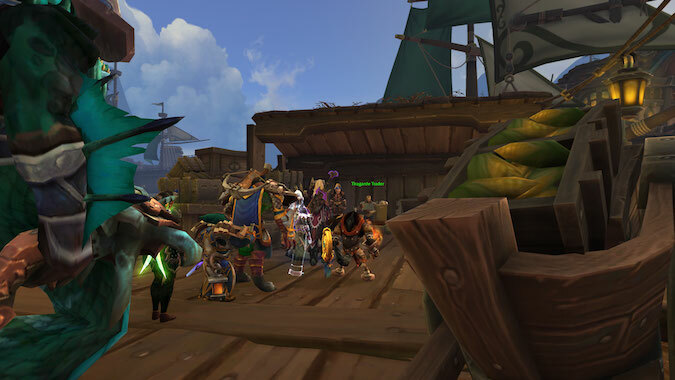 If you are on a high-to-medium-population server, General or Trade Chat can bring results. You don’t have a lot of characters to work with here, so be brief. Will you accept someone who wants to leave their main in one guild — but join yours with an alt — and still be on your raid team? What about taking on someone who is simply interested in raiding but not interested in joining your guild? Know what you want before you begin. The announcement form on the Looking for Guild panel is extremely limited, but you should fill it out anyway. If you get people indicating interest be sure you follow up quickly. 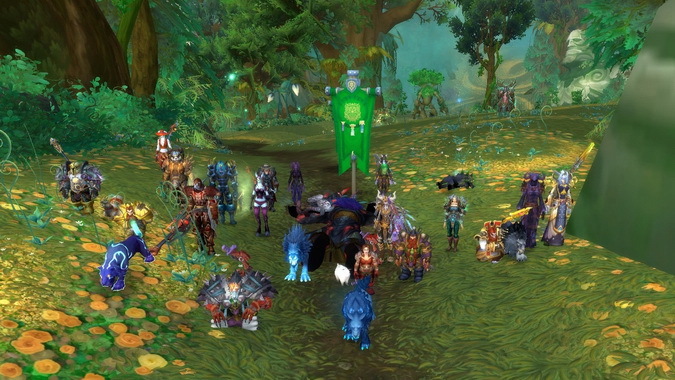 Your server forum and WoW‘s guild recruitment forum are better places to go. A server forum isn’t nearly as busy as the overall recruitment forum, so it’s a good idea to post an announcement on both. See below for things you should put in a recruitment message. If you’re in a specific Community, you can let people know you have a spot to fill. Be mindful of whatever Community rules govern guild recruitment. Again, you’ll need to decide if you are simply looking to fill a slot or looking for a guild member. If you’re going to talk to people placing ads looking for a guild home, devote some time to this. On the WoW guild recruitment forum, if you post it will wind up on page eight in 30 minutes. If you can tandem this in voice chat with someone, you can be scanning the pages and they can be sending out inquiry letters. Make sure you also respond to their post in any forum. Do you have a website? Put a post on the front page of your site. You can be as specific as necessary with the name or names of contact people for more information. Make sure there are parts of your website anyone can see. Potential recruits want to know what kind of guild you are — show them. WoW-themed data sites have sections where members can post guild recruitment. These sections are similar to WoW‘s guild recruitment forum. You will need to join the site to post. They don’t tend to attract the volume the general forum does so your post has a chance to linger on page one longer. For any forum you’re going to need to devote time to refreshing your post, to keep it on page one. What to tell a potential recruit? Do you have a try-out for the raid team? The first two items are self-explanatory. The next two require some explanation. Do you have raiding rules? Are they posted on your guild website? What do you require of raiders in terms of DPS or healing numbers? What about requiring knowledge of bosses? Do they need to come with their own raiding supplies? If they have an emergency or can’t come to a raid, how is this handled? If they don’t meet targets for raiding, what kind of help will you give? How will they get feedback on performance? How will people be selected for the raid, if there are more people ready than available slots? Answer all these questions for yourself and you will present the image of an organized guild. You have yourself together. This is a huge plus when you’re recruiting. I don’t feel guild recruitment has become any easier the longer the game is out. People have many ways of seeing content. Finding someone who can fill your empty raid slots is tough — know what you’re looking for. Read forums and be ready to engage a potential recruit.